Roof down for unlimited enjoyment of sun, wind and views. 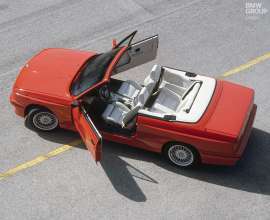 The BMW M3 Convertible was a new arrival in 1988. Rigid floor pan from the 3 Series Convertible + M3 body up to the beltline equals a structure offering maximum rigidity – ideal for a full-bore sports car in handsome convertible robes. For all weathers. With the roof up, the M3 Convertible could cope with winter as well (in theory). The clean roofline and great aerodynamics are shared by other stablemates. Its “chubby cheeks” are the only instant giveaway of the open-top M3. The first BMW M3 racked up a sensational string of motor racing successes, including a full haul of World, European and German Touring Car Championship titles. Many drivers still rave about its power and handling. The production version, meanwhile, even took mundane everyday life in its stride. And for years now its value has been increasing as reliably as well-chosen blue-chip stock. In 1988, the M3 branched out further, complementing its dynamic delights with those of open-air motoring. And it is precisely this first drop-top incarnation of the M3 that the new BMW M4 Convertible “Edition 30 Jahre” seeks to celebrate, a contemporary take on track-proven engine and chassis technology combined with everyday usability. 1988. Opening up a whole new experience. 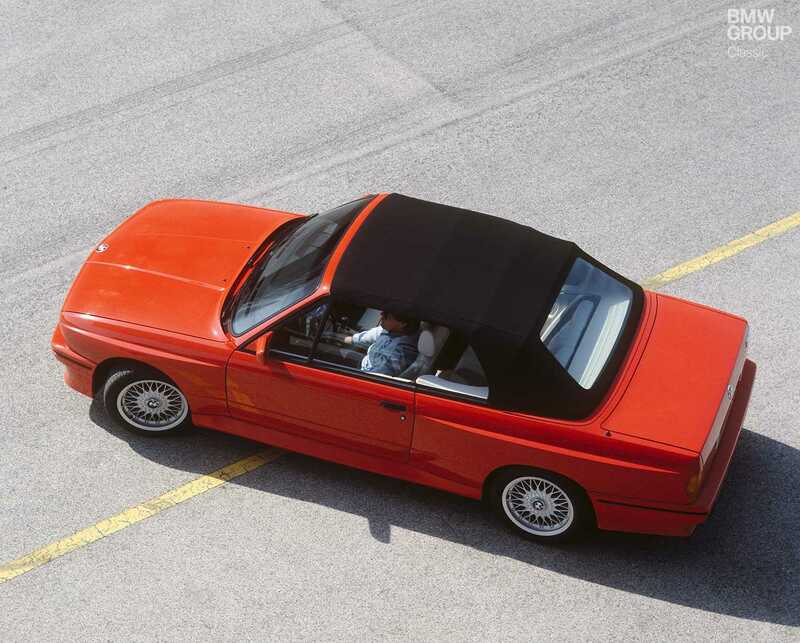 The first BMW 3 Series to be designed as an elegant “full convertible” took to the stage at the 1985 Frankfurt Motor Show. It immediately drew acclaim for its smooth, clean-cut lines that allowed the soft-top to disappear out of sight under a slim cover. It was available with the same choice of four and six-cylinder engines offered for the sedan, with the 170 hp 325i KAT (complete with emission control) heading the line-up. So the power box was ticked. 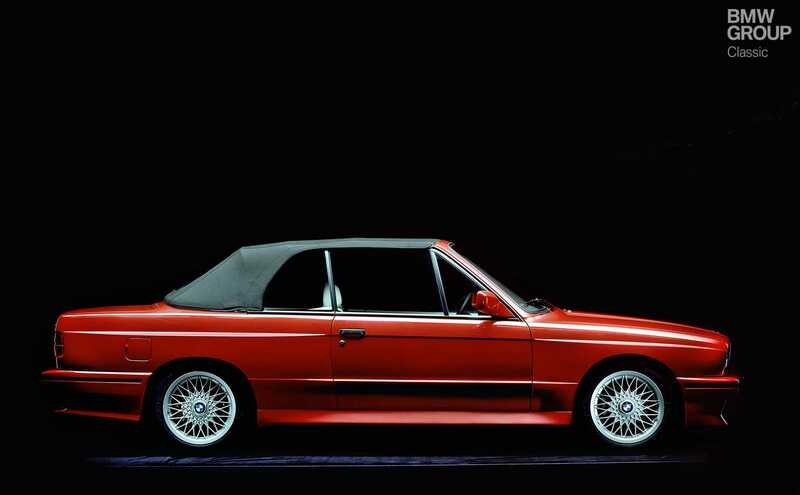 The new BMW M3 Convertible, though, was a car with higher aspirations still, one that begged a wider remit. The engineers at BMW Motorsport GmbH combined the convertible’s floor pan with the M3 body up to the beltline, as both were far more rigid than the respective standard production versions. The upshot was a model with all the credentials to be a superlative sports car. Like its tin-top sibling, the BMW M3 Convertible delivered pure, unadulterated performance: 0 – 100 km/h (62 mph) in 7.5 seconds and a top speed of 235 km/h (146 mph). The 2.3-litre four-valve four-cylinder engine initially had an output of 195 hp, but that was later upped to 215 hp. Just 786 had been built when production came to an end in 1991. No wonder it’s an extremely rare collector’s item today. 2018. The past as a blueprint for today. 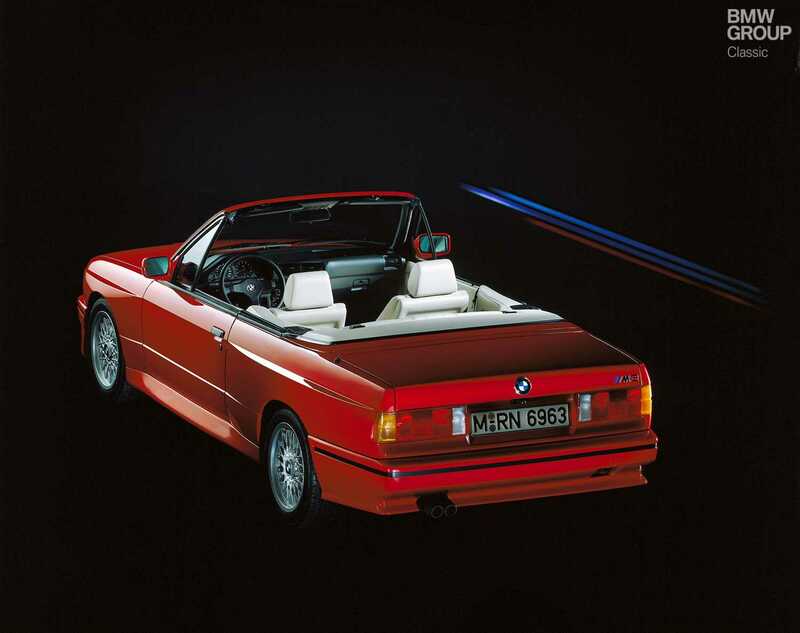 The new M4 Convertible “Edition 30 Jahre” has been fashioned in the mould of the first M3 Convertible. Limited to a run of just 300 units and equipped with the M Competition package, it generates a mighty 450 hp and includes a wealth of details that set it apart from the “regular” version (if any M model can be described in such workaday terms). Two classic paint colours evoke memories of earlier versions: Macao Blue metallic recalls the very first generation of the M3, while the non-metallic Mandarin II is reminiscent of the second generation in Dakar Yellow. The interior is specially matched to the exterior colour. And the 20-inch M light-alloy wheels in Orbit Grey matt are exclusive to this special edition. The highlight and centrepiece of any M3 – the two-door version was rechristened M4 with the launch of the fifth generation – is without doubt its engine. The straight-six unit with M TwinPower Turbo technology is a high-revving beast and directs its power via an optional seven-speed M Double Clutch Transmission with Drivelogic to the Active M Differential at the rear wheels, for the ultimate in road and track performance. 30 years of the M3 Convertible. So there have been multiple model generations of the two-door BMW M3, each of them special in their own way. Plus, there is still the added pleasure of being able to order it brand new from a dealer – in the form of the BMW M4. Classic enthusiasts are all familiar with the thrill of looking at old photos of showrooms with their dream car and thinking: someone back then was the first person to open the door and indulge. After all, that’s how all of today’s most coveted classic cars started out. The decision, as they say, is yours.